Lake Superior Zoo “Boo at the Zoo” (October 13, 2018) – Boo at the Zoo is the Northland’s premiere Halloween event for families. Thousands of little pumpkins enjoy trick or treating with the safe and beautiful grounds of the Lake Superior Zoo. WDIO-TV has a booth at the event, and News Team take turns handing out candy to the kids. Courage Kenny Rehabilitation Institute “Shoot for Fun” (September 8, 2018) – the 20th Annual “Shoot for Fun” happened on September 8 at Old Vermilion Trial Hunting Preserve in Duluth. 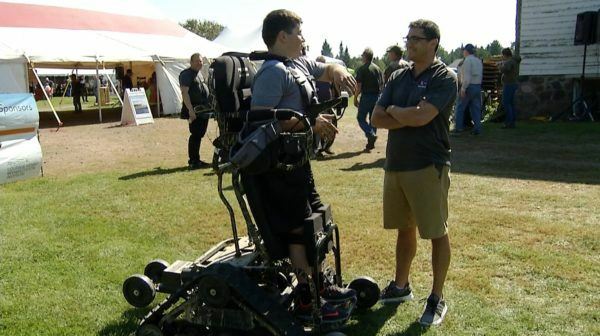 It’s a day of outdoor fun benefitting the Courage Kenny Rehabilitation Institute. Courage Kenny provides recreational and youth development opportunities for people with disabilities in the Northland. Justin Liles, WDIO Storm Team Chief Meteorologist, participated in the event, and was the emcee for the evening.